At the end of last summer, I completed a personal milestone (and no, it wasn’t turning 25…yuck). I finished my term of AmeriCorps! Let’s take a peek at the numbers, shall we? 6000. Approximate amount of scholarship. 1700. Hours of community service completed. 42. Number of kids served. 6. Number of families I feel I impacted. 9. Lasting friendships made with other AmeriCorps. 4. People I can count on for a great recommendation. 1. Child I continue to mentor. 2. Bitter relationships left over. 1,560. Approximate number of life lessons learned. Everything else can’t be broken down into numbers. I learned a lot last year–about myself, and about others. Were these the lessons I thought I would learn? Not even close. At the beginning of the year, we wrote ourselves a letter detailing what we expected from the next twelve months. It was a depressing letter because everything I wrote about had in fact, not happened. I wasn’t staying another year in AmeriCorps as I had assumed, the Boyfriend and I were not ready to be engaged (and still aren’t) and I’m still uncertain how much of an impact I had on the kids. However, I did learn how to be professional, even if I’m brawling or bawling inside. I did learn bucket loads about the systems here in the United States: the immigration system, the health care system, the education system. I learned how to get over my fear of public speaking. I learned how to network. I learned how to quiet down a class of middle-schoolers and gain their (temporary) respect. I learned how to make my hair look semi-professional on a regular basis. I learned how to go to a 9-6 job every day, and make it there (mostly) on time. I learned how to live with a boy. I learned how to survive a commute and drive in the big city. Most of all, I learned that life rarely follows a plan, and that it’s really hard to let go of the plan you wanted to have. Sometimes, the kids drive me crazy. Sometimes, they hurt my soul. Sometimes, they flummox me so much my brain hurts. And sometimes, they show me the way. There is this one boy, a fairly newcomer to the Opportunity Center, who is always one of the highlights of my day. My boss mentioned how when he enters a room he just lights it up, and it’s true. Several weeks ago, this boy, we’ll call him A., wrote a letter, out of nowhere, about Invisible Children. A non-profit for a terrible situation that I had vaguely heard about, but really hadn’t looked into. Then, I read A’s letter, and I felt the world shift a little under my feet. Here is a 12-year-old boy, a refugee from Africa himself, who is living in public housing with about a dozen other people in a tiny house, and HE is more concerned about this than I am. And I claim to want to travel the world helping these folks. So, now, I’m helping A find a way to help these people. If A doesn’t inspire you, what will? p.s. I know the video went viral today, but despite that, this is an important and real issue that A and other kids that I work with have firsthand knowledge of. I know it’s easy to scoff at the media and you should question before you give, but anything that draws attention to the plight of Africa is a good start. Don’t You Love Love Day? I hope you are having a lovely day filled with lots of love from all the various sources in yo’ life. I know I am one lucky girl–even though I’m realizing that holidays can be bittersweet days, too, just like a regular day. (Yet another lesson in “growing up”). I got to visit a couple of kids I never get to see, and they were really excited. One of them lied to me, though, and it broke my heart a little. NEXT, I received Valentine’s from my co-workers which I loved. However, one of the cards mentioned “how much I’m gonna miss you next year” and reminded me that in just six months I will be out of a job and grad school is still a blurry what-if. Then, I got another interview to a grad school program–my second one! and they’re my top two dream programs!–and suddenly I wasn’t feeling so sad anymore. BUT, I came home to what I hope is my only rejection letter. (I kept saying “first” so now I’m trying to catch myself and stay positivo!). And then…the Boyfriend came home with flowers, candy, ART, a mushy tear-inducing card, the whole shebang, (yeah, I am one serious lucky duck) and suddenly I remembered I didn’t really want that program, anyway. I remembered that even though this job is short-lived, and the kids can break my heart, I am still lovin’ it. I remembered that I’ve gotten a plethora of love texts today, and really, life is too short to be bowed by rejection for long. Especially when it’s time for some homemade pizza. 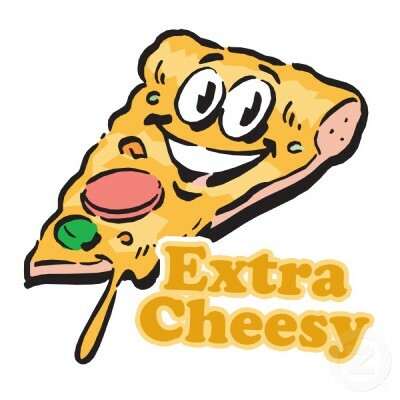 extra cheesy can always make you happy, too. Lots of love to all of you!! xoxo. I work with one particular boy who consistently gets in his way. Don’t get me wrong, a lot of the kids I work with do this, and a lot of people in general do this. (Myself, for one, but let’s not go down that road). Not long ago, this kid, we’ll call him M, finally seemed to find an activity that kept him out of trouble and quiet. This kid, from the first day I started, was a headache. That sounds mean, but seriously, I could not reach this child. I could see his pain and feel his anger, but I could not find anything beneath those masks with which I could connect. Then, we went shopping and bought some new puzzles, and my boss convinced M to get started on a bada** one with a bunch of dragons with a tantalizing offer: finishing the puzzle would equal keeping the puzzle. M worked diligently on his puzzle for days. When he finally reached the last few pieces and found one missing, we were all close to devastated. When another sharp-eyed student spotted the missing piece, my boss went right over to tell M the good news. He came back and happily added the last piece. M destroyed the whole thing. It breaks my heart to see a glimmer of something in a child, and then before you know it, the window is slammed shut. I’ve never seen a glimmer in M again, and we rarely ever see him anymore. All I can do is hope–someday–he’ll remember that someone believed in him in enough to encourage him to something as simple as a puzzle, and that someone is there if he needs help achieving more. Sometimes, we see a glimmer in someone and we never see it again. 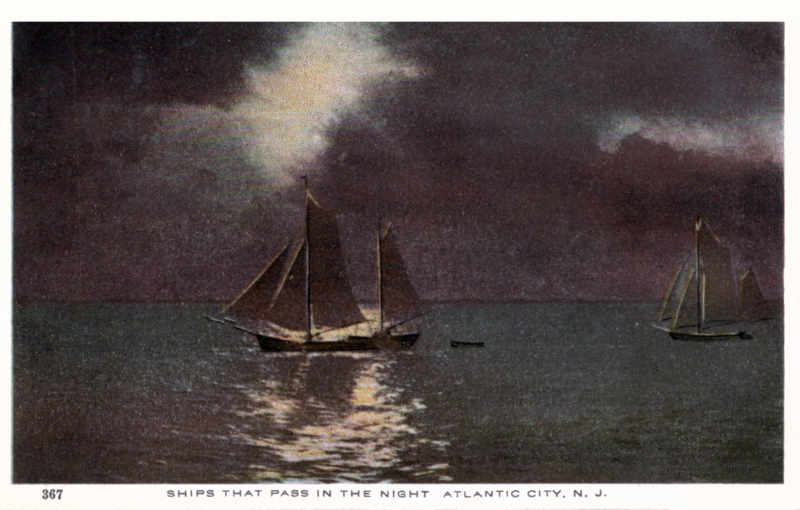 I guess that’s how life is–we’re all just a bunch of ships passing in the night, and sometimes a lantern turns on. Sometimes it stays on, sometimes it burns out, sometimes it blinds you, sometimes it warms you. And every light is beautiful. Perhaps the ones that are just a flash are the ones we’ll remember most–but boy, it’s hard to remember and never get to see more.